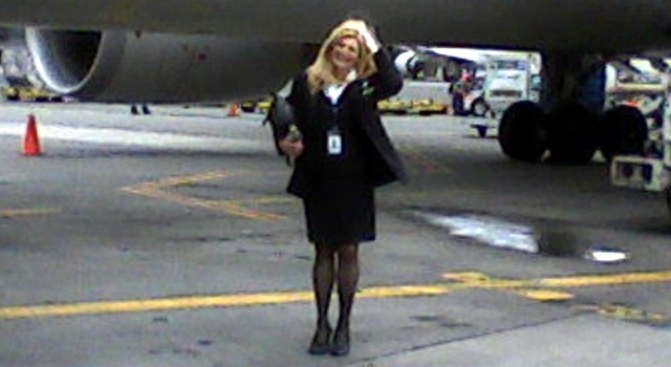 This picture of flight attendant Matilda Quintero was taken the day of the tragedy. Some of them were technicians. Some survived breast cancer. Some were children. Some were going to visit family, and others were just trying to get home. Here's a look at some of those killed in the plane crash. Quintero, 57, of Woodbridge, N.J., had survived breast cancer in the mid-1990s and had been a single parent after her husband, Guillermo, died in 1999, her family told the Star-Ledger. She was excited to get a job as a flight attendant for Colgan Air last May. Quintero, who usually worked short flights to avoid long stays away from home, gave up a flight to Europe this week so that she could be home this weekend, according to her boyfriend, Jim Ferris, of Wayne, Pa. She was scheduled to work a flight to Las Vegas, spend a night there and be home in time for Valentine's Day, but got switched to the Buffalo flight at the last minute, Ferris said. Quintero enjoyed her work, but her family worried. Prisco, a married mother of four from Randolph, N.J., had been a flight attendant for less than a year. She had attended training with Matilda Quintero, a good friend who was also working the flight. Prisco, 52, had been a stay-at-home mother for 27 years before she fulfilled a lifelong dream of becoming a flight attendant, her sister Karen Prisco, of Sparta, told The Star-Ledger. On her first day of work in June, she proudly posed for a photo in her uniform in the living room. 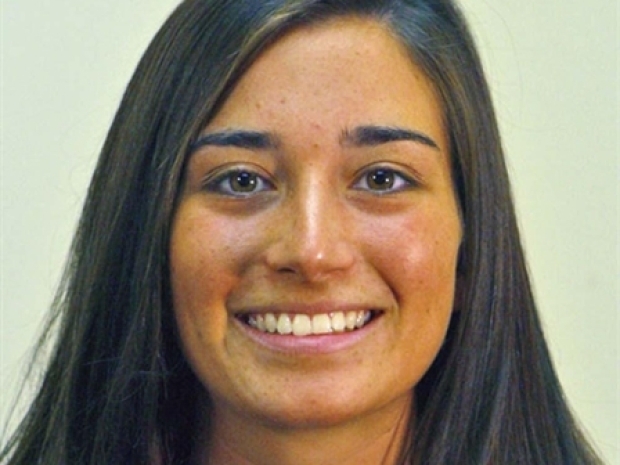 "She wanted to go back to work and do something for herself," Karen Prisco told the newspaper. "She said, 'I'd do this job for free.' She just loved it. She was a people person." Prisco's 24-year-old daughter, Ashley, also works for Colgan Air, the company that operated Flight 3407. Prisco also had three sons, Neil Prisco III, 27; Brett Prisco, 22; and Corey Prisco, 15, and was married to Neil Prisco Jr.
As the shock wears off for family and friends of the victims, the grieving begins. Each family has their own heartbreaking story about their loved one lost. Borner, 49, of North Tonawanda, N.Y., worked for Kraft Foods and was returning from a business trip with a co-worker. Borner was to meet his family and then leave with them Friday for a cruise in Florida. “I was supposed to drive him to the airport'' for his trip to Florida, another neighbor, Richard E. Ganter, told the newspaper. Gonzalez, a director of a youth services program based in New Brunswick, N.J., was on his way to visit family in Buffalo, a colleague said. The Bronx-raised Gonzalez, 44, worked for New Brunswick Tomorrow, a private nonprofit organization that provides family counseling, employment and tutoring services for the city's schools. Gonzalez, who was flying home to visit family in the Buffalo area, formerly led Alianza Latina, an AIDS/HIV organization focused on Buffalo's Latino community, according to the Buffalo News. Jeffrey Vega, New Brunswick Tomorrow's president, told the Star-Ledger of Newark, N.J., that Gonzalez worked long hours and was dedicated to helping disadvantaged children and their families. McDonald, 48, was a technical manager at the Pharmetics Inc. plant in Fort Erie, Ontario, where he had worked for 26 years, said company spokesman Peter Lucyshyn. His job was to troubleshoot equipment problems and drug formulations for Pharmetics, one of the largest private-label pharmaceutical companies in Canada. McDonald, who was returning home to Fort Erie from a business trip, had a wife and young daughter. McDonald, an avid golfer, had lived in the Niagara region of Ontario for more than 45 years, The Canadian Press reported. Donald Mossop, his wife, Dawn, and their only child, 12-year-old Shawn, were on their way to visit relatives in Canada. Dawn Mossop's sister, Ferris Reid, accompanied them. The Bloomfield, N.J., residents were all members of the North Montclair congregation of the Jehovah's Witnesses. Donald Mossop was a technician for Xerox, while his wife was an executive secretary with drugmaker Schering-Plough. "They were very good people,'' said a relative who declined to give her name. Shawn was a student at Bloomfield Middle School, according to the Star-Ledger. Donald Mossop would often romance his wife with flowers, jewelry and dinners out, Wiggan said. Reid, of Bloomfield, N.J., was accompanying her sister, Dawn Mossop, her brother-in-law and her nephew on a trip to Canada to visit relatives. All were members of the North Montclair congregation of the Jehovah's Witnesses. Reid was a visiting nurse and lived with the Mossop family. Fiore, 59, of Grand Island, N.Y., had recently retired from the U.S. Air Force reserves as a senior master sergeant, according to fellow members of Grand Island Moose Lodge No. 180. The flight was the final leg of his vacation to China.